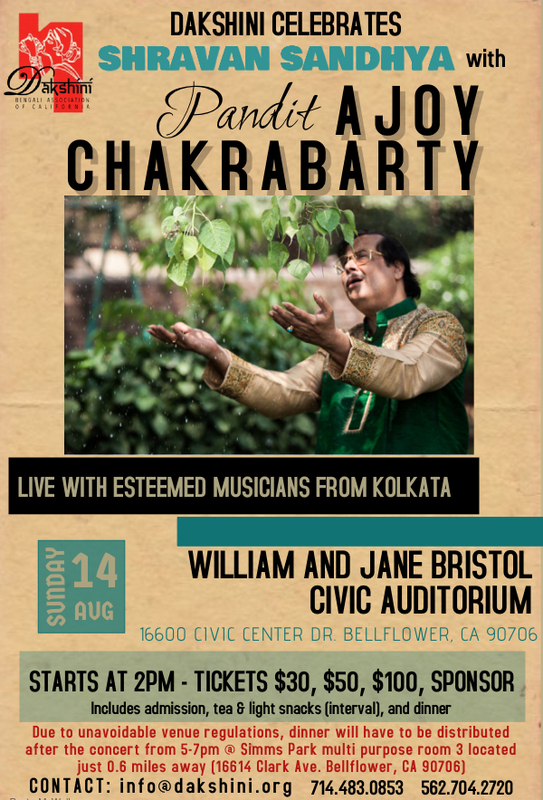 We are honored to host the world renowned Pandit Ajoy Chakrabarty for a classical delight at our signature Shravan Sandhya event! It is just 64 days away! Below are some details followed by the event flyer. Seating for this event is limited to 340! Seats are filling up so please reserve your seats today by clicking here to complete this reservation form. On the form, you will have the option to select whether you'd like to pay online or mail cash/checks to 3001 Copa De Oro Dr. Rossmoor, CA 90720.